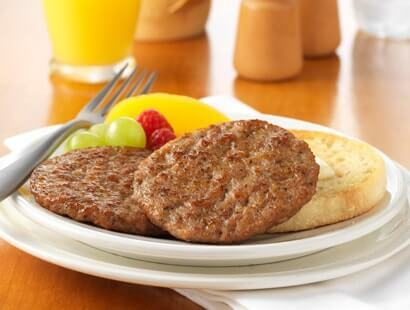 Breakfast sausage is our signature product. Once you’ve tried it, you’ll understand why. 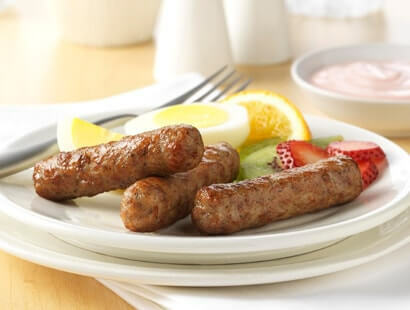 We’ve been making our all-natural wholesale breakfast sausage with the same ingredients for more than 130 years. Using premium, fresh cuts of meat, high-quality spices blended by hand and no fillers or artificial ingredients, the flavor and performance of our Certified Gluten-Free sausage is unmatched. And with our fully cooked products, you get a cook yield that you can count on. 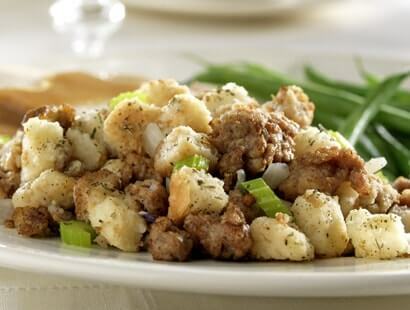 Browse our great-tasting options below, including low sodium pork sausage, chicken sausage, turkey sausage and more. Choose between our collagen or vegetable-based casing. These fully cooked links are ready to serve. Available raw or fully cooked. Perfect alone or in a sandwich. Raw and versatile enough for any application.